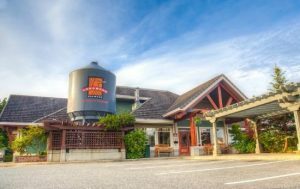 Head to Hilltop Bistro for Nanaimo’s best fine dining experience. The relaxed yet, prestigious atmosphere really is quite inviting. The menu is comprised of food that is locally sourced, and recipes inspired about the natural surroundings. The chef often has a number of signature dishes on the menu, blending many exciting and surprising flavours together to delight the palate. The wine menu is impressive too. Fine Hilltop Bistro on Rutherford Road. Marina’s is the place to go for a good old pizza! 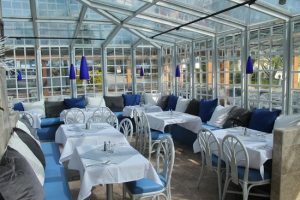 They also have a fabulous array of Greek cuisine that is perfect for a light bite in the mid-afternoon. With numerous sharing platters, as well as tasty main courses, Marina’s is a lovely place to relax and graze. The beer here too is particularly good.Visit Marina’s on Terminal Avenue North. No vacation is complete without sampling the local sushi. Nanaimo certainly has an abundance of fresh fish for the chef’s down at Nori to work with, and boy do they do it well. This is one of the most popular restaurants with locals too, so try and make a reservation if sashimi is your thing. The food on offer is incredibly fresh and flavoursome. 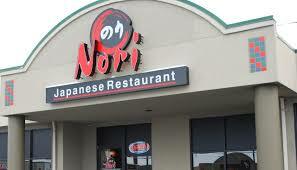 Visit the best Japanese restaurant on the island, situated on Island Hwy North. This place is cram packed full of charm. Around ten minutes’ drive south of Nanaimo, The Mahle House is situated in a beautiful little farming community, within the walls of a gorgeous restored house from 1904 and an acre of gardens. All of the herbs and vegetables are grown in the backyard, meaning the freshness is second to none. All of the food really has that home-cooked feel; a great place to visit in the colder months for some warming sustenance. 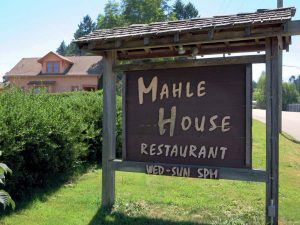 Find The Mahle House on Hemer Road. 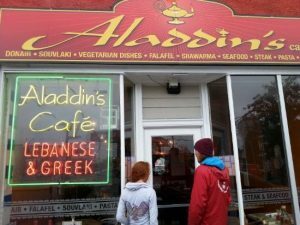 For value, freshness, and good-sized portions, there is no place better than Aladdin’s Café. The food here is influenced by Lebanese, Greek, and Italian which means it is light and crisp and bursting with sunny flavours. Decorated in a middle eastern style as the name would suggest, this is a fantastic spot for a cosy, intimate, and unique dining experience. Find Aladdin on Victoria Crescent. 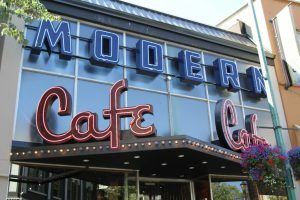 As suggested by the name, this place offers the finest French cuisine in British Columbia. The owner, and head chef is French, so you are sure to get an authentic taste of the romantic European country. Gilles Le Patezour has worked around the globe, and has won numerous awards for his culinary endeavours. 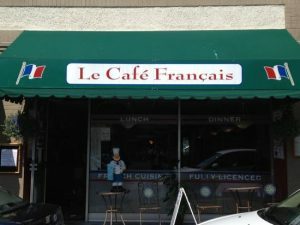 So for a taste of the continent, head toe Le Café Français on Commercial Street. This is the place to come for organic. Everything is made from scratch, and only the finest of local ingredients are used. They have a great team there who innovate new recipes on a daily basis. The Nest heavily uses French and Italian influences in their menu creation which perfectly reflects the elegant restaurant setting. 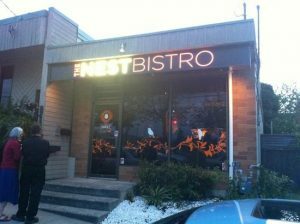 Find the Nest Bistro on Skinner Street. This place is all about getting in on the action. Here you can witness some of the region’s top chefs whip up your dinner right in front of you. The open kitchen is a big draw, but it is the top-notch food that will see diners visit time and time again. Using only seasonal ingredients, at 2 Chefs Affair you are sure to reignite your love affair with fine dining. Visit them on Commercial Street. This traditional pub is known for its breath-taking views of the mountain range. Therefore, a visit at sunset is highly recommended. The beer is fantastic, and the chefs are a stickler for freshness, so much so they even make their own bread! A great place for a beer, or for some traditional pub food such as burgers and salads, in a pleasant dining space. Find the Longwood on Turner Road. A hip mix of a modern menu, delivered to you in the beautiful setting of the historic building with exposed brick walls. A proper trendy retreat for some first-class food, and a well-made cocktail. Attention to detail is the game here, with the simplest of mains such as a burger or a mac and cheese, being presented with flair and flavour. Visit them on Commercial Street. So there you have it! 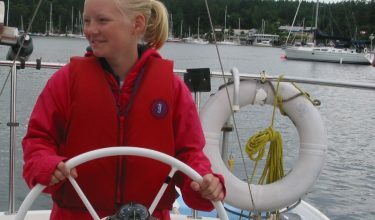 Our top ten Nanaimo eateries for your yachting holiday. Enjoy!